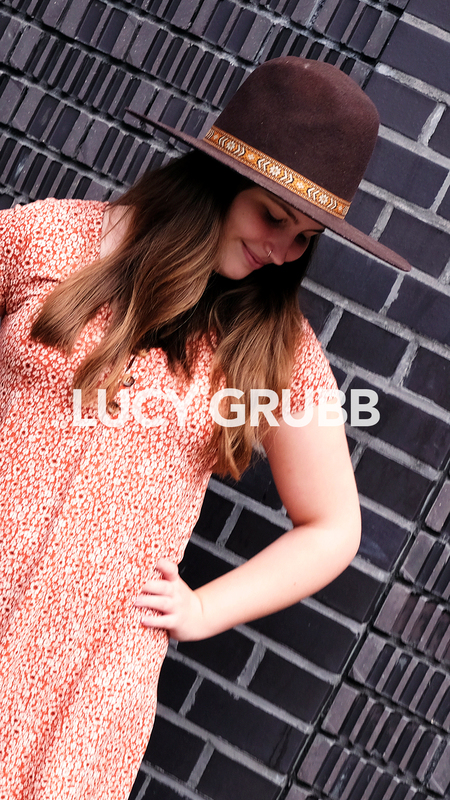 With heartfelt lyrics and Country undertones, Lucy focuses on telling you the unadulterated truth about a girl who was born and raised in a town not built for Country music. 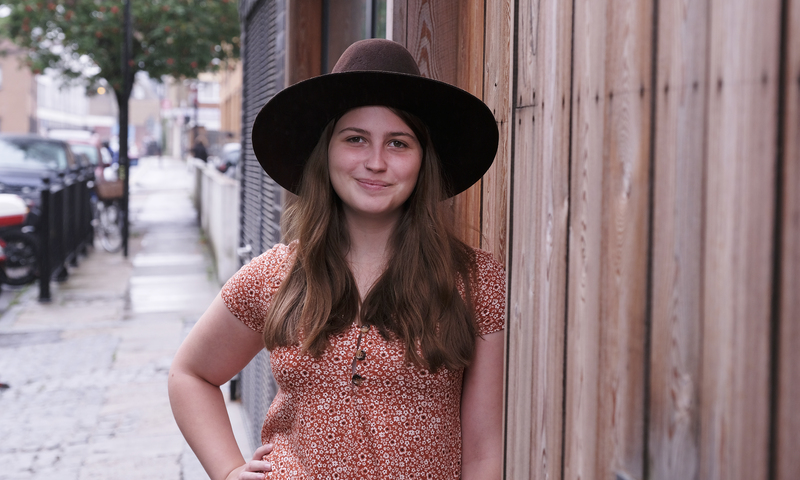 With nods to songwriter Paul Simon, Lucy focuses on writing about the truth in a way that sets her apart from other songwriters. Like Simon, Lucy often likes to add a spin to the tone of her lyrics, sometimes witty or sarcastic to enhance the storytelling experience. Ultimately what makes her songs stand out is the ability to take them and create meaning unique to the individual. 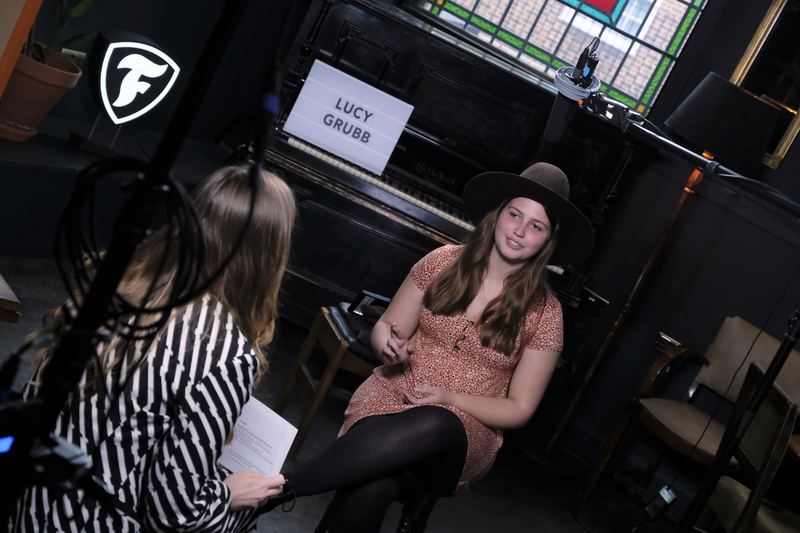 In 2014 Lucy made her debut appearance on BBC Introducing in Norfolk, followed by a performance at Open for BBC Radio 1’s Academy in conjunction with BBC Introducing in 2016. Later that year, Lucy supported folk singer/songwriter Lucy Rose at Norwich Arts Centre for Norwich Sound & Vision and formed her band Lucy Grubb & The Lost Boys. After a great start to 2017 supporting her fellow Country peers Morganway and Sam Coe & the Long Shadows, Lucy went on to play a host of UK festivals including Glastonbury, Red Rooster and Latitude. Lucy has released two EP’s; her 4 track debut EP ‘18 Miles’ this came after a long process of perfecting her sound and experimenting with instruments outside of her writing process. The songs cover heartache, realisation and determination, from the grief of losing a loved one in ‘Country Channel‘ to the one that got away in ‘Cowboy‘. Lucy’s more recent EP Dear Walter has a very strong sound and mature lyrics. Read our review here. Hi Lucy how are you? Hello, I’m very well thank you. I just released my second EP ‘Dear Walter’. We put on a launch show at Norwich Arts Centre with my full band (we’re a 7 piece now!) and it was honestly one of the best gigs I’ve ever played. Performing in front of a home crowd is always fun, but the atmosphere was something else. We wish we could do it all over again. Tell us about your start as a singer songwriter and why country music? So I started playing guitar when I was 11, and around this time I was really into writing. Poetry, short stories, you name it. The songwriting was really a result of these processes happening around the same time, and as I began to listen to a lot more music my songwriting skills developed. You know, I always get asked ‘why Country music?’. I think people are fascinated by the rise in Country music at the moment, especially in the UK, so it’s nice to feel apart of something. I got into Country music because my grandad was an avid listener, especially to Johnny Cash and the old timers. In his last few years I spent an increasing amount of time with him, so we’d sit and listen to the radio a lot. I guess my influences come from those days, and the desire to write music that I know my grandad would of enjoyed. Can you talk us through the Dear Walter EP? What was the writing process/story behind each song? So as previously mentioned, my grandad was a big influence on me. You might of guessed my grandad is Walter. I always wanted to dedicate an EP to him, so when I finished writing the track ‘Dear Walter’ things very much fell into place. I had already written ‘Not into Anyone’ and Storm, and was also beginning to write ‘In Common’ around the same time as ‘Dear Walter’. I knew I wanted ‘In Common’ to be on the EP, and it was one of the songs that I knew exactly what I wanted production wise. That became the perfect opening track for me, an ode to one of my favourites, Johnny Cash. ‘Storm’ is about an imperfect relationship and releasing that I was much better off when he wasn’t around. ‘Not into Anyone’ is a Country love song I guess, written at the start of my current relationship. It was a gesture of commitment. ‘Dear Walter’ the closing track, is a tribute to my grandad. The perfect way to round of my second EP. You have been shortlisted for the Firestone’s Road to the Main Stage competition. Tell us a bit about that and how we can vote? My main focus at the moment is this EP, but I have a few shows in Norwich before 2019 arrives. I’m playing The Bicycle Shop December 9th and Norwich Arts Centre December 21st. Definitely! It will be nice to relax and reflect on what an insane year I’ve had. Really looking forward to a busy 2019.